ICA Membership Director Megan Clark takes a minute to share more information about ICA's new Events Series in this video. 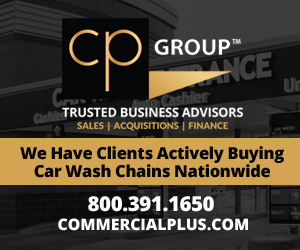 The events provide opportunities for car wash professionals to connect, no matter where interests may lie. Visit http://www.carwash.org/events to view the full article online. With the unemployment rate for adults with autism hovering around 90 percent, John D'Eri knew he needed to take action. D'Eri, whose son is autistic, said he didn't want to let his son Andrew become part of that statistic — so he started a car wash business for him and others with autism to find paid work and a purpose. Visit https://mic.com/articles/146596/meet-the-dad-who-started-a-car-wash-business-to-change-his-son-s-life#.n7PUxpF97 to view the full article online. The Water Wizard Car Wash, owned by J.D. Dowell, has been recently purchased by Tim and Brandi Milbourn, Milbourn LLC, of Gallatin. Mr. Dowell built the car wash 22 years ago. Visit http://gallatinnorthmissourian.com/2016/06/20/new-ownership-for-water-wizard-car-wash/#.V2laLPkrJhE to view the full article online. Developer M. C. Day III will have the opportunity to restore the former Virginia Pride car wash in Riverdale to its former glory after South Boston Town Council unanimously approved a conditional zoning permit at Monday’s meeting. 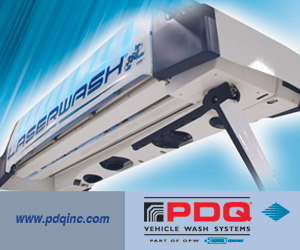 Visit http://www.godanriver.com/work_it_sova/news/south-boston-town-council-gives-ok-to-car-wash/article_60bb4e6c-334f-11e6-9bdf-2f415ac37bde.html to view the full article online. When was the last time you tried to do something differently even if it was scary? When was the last time you tried a new strategy, a new tactic, a new approach to solving a problem? When was the last time you took an Improv class, a different route to the gym or just went for a walk down a street you haven’t been down? Visit http://www.huffingtonpost.com/allison-horner/why-we-need-novel-experie_b_10488680.html to view the full article online. As someone that has worked for small technology-based businesses for years, I’ve come to learn some of the best habits of small business geniuses. While most business owners are unique and every business is different, there is one very important trait that is shared by the most successful ones: they track everything. Visit http://www.forbes.com/sites/allbusiness/2016/06/20/become-a-data-genius-track-everything-in-your-small-business/#170735e4635d to view the full article online. Have you set summer marketing goals for your small business? Setting goals is important for maintaining focus so you can grow your business. To that end, the following details three summer marketing goals every small business should pursue. Visit http://www.business2community.com/marketing/3-summer-marketing-goals-every-small-business-pursue-01564793#V6Pij8DZF4X1GRXG.97 to view the full article online. Warren Buffet once wisely said, "It takes 20 years to build a reputation and five minutes to ruin it." The same general concept applies to the competitive online world that's vying for the preference of consumers, and it points to an important business practice that is sometimes overlooked. Visit http://www.inc.com/adam-heitzman/what-every-business-owner-should-know-about-online-reviews.html to view the full article online. 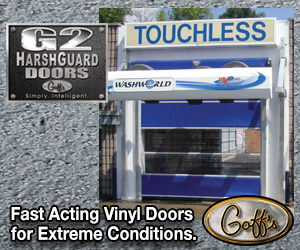 Washworld, Inc. is proud to announce that they have recently added a new member to their Distributor Network. 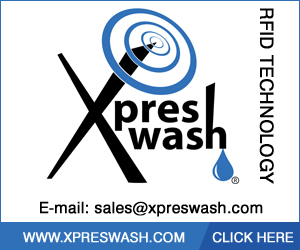 SoapWorks LLC, located in Roxboro, North Carolina, will be selling and servicing Washworld wash systems to North Carolina, Northern Virginia and Maryland. 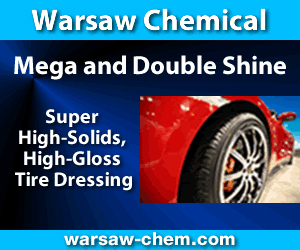 Visit http://www.carwash.org/news-landing/2016/06/22/new-distributor-for-washworld to view the full article online. Mark VII Equipment Inc., the North America subsidiary of WashTec AG of Germany, the world's largest manufacturer of vehicle cleaning systems, today announced that Chris Armena has joined the company as its Canada sales manager. Visit http://www.carwash.org/news-landing/2016/06/22/mark-vii-announces-new-canada-sales-manager to view the full article online. Bruce Kenison has been named national sales director at G&G LED, a leading manufacturer of wet location lighting. He is responsible for continuing the company’s growth in the car wash, food processing and manufacturing industries, while expanding relationships and creating new business opportunities within the transportation, agricultural, warehousing and facilities management marketplaces. 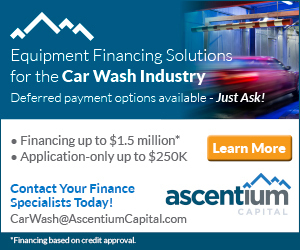 Visit http://www.carwash.org/news-landing/2016/06/22/bruce-kenison-named-national-sales-director-at-g-g-led to view the full article online.